“Don’t believe everything you read” is an old expression, but it is particularly true when it comes to online information. There is very little regulation of the internet, which means anyone can publish almost anything. That doesn’t mean students shouldn’t take advantage of the wealth of facts and information available online. It just means they need to be careful and show good judgment. We recommend that all middle and high school students using the web for research follow the guidelines below. 1Check with an adult. Younger students in particular should involve your parents, teachers, or supervising adults in the research portion of your paper. Ask for their opinion on the information you find. Show them this list and have them help you evaluate your sources. 2Watch out for bias. Many websites exist to promote a particular point of view. That’s fine, but realize that the information you get from these sites will likely only present one side of the story. Do your best to find sites that attempt to remain objective. If the site has a purpose statement, pay attention to it. If you decide to use website sources that are obviously one-sided, do your best to find sites from the opposing viewpoints as well. A good researcher remains fair and even-handed. 3Look for credible sources. Some organizations are more credible than others. Bias exists everywhere, but better-known organizations like The New York Times or the Center for Disease Control are more likely to be credible than relatively unknown organizations or individuals. If the organization or author providing the information is unfamiliar to you, be sure to read up on them. You might even do a search for opinions on the organization itself or the individual author. 4URL Suffix. 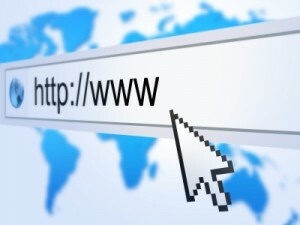 Generally, websites with addresses that end in .org (short for “organization”) or .edu (“education”) are more trustworthy than those that end in .com (“commercial”). This is only a general rule, however. Many dot-coms are trustworthy, and there are dot-orgs and dot-edus that contain errors or heavy bias. 5Author’s credentials. Does the author give his name? Does he mention his education, background or experience? Does he hold a position of influence or a title that communicates authority or trustworthiness? Be wary of authors who remain anonymous or who fail to display their credentials. 6Support. Does the information appear to be verified or supported on the site itself? Are all sources used by the writer cited? Does the writer ask you to take his word for things or does he provide links to his own sources? Are there footnotes or a bibliography? 7Look for a reasonable tone. Is the information presented logically, fairly and appropriately? Or does the writer appeal to emotion and assumption? Is the tone strident and argumentative or objective and reasonable? 8Check for accuracy. Are facts and data presented verified elsewhere? Before accepting statistics, you might want to look for other examples of the same information. If you only find it in one place, you have reason to suspect its accuracy. 9Check for timeliness. Make sure an data you find is recent. Many websites include dates of publication. Make sure you are not looking at information that that may have changed since the article was published. 10Be safe! Again, be careful surfing the web without adult supervision. Check with your parents, guardians, or teachers before exploring a topic. Don’t download anything or agree to anything or communicate with anyone without checking first with adults who are responsible for you. The internet is an amazing thing that gives us access to tremendous amounts of information, but we must handle it wisely and carefully. We love hearing from readers! Please feel free to leave a comment or question below. I will teach this in a future lesson. In fact, I wrote it FOR the revision of the workshop. Just thought I’d publish a sneak peak! Great information, some of it new to me. Maybe this should be included in a lesson for the Research Paper Workshop.